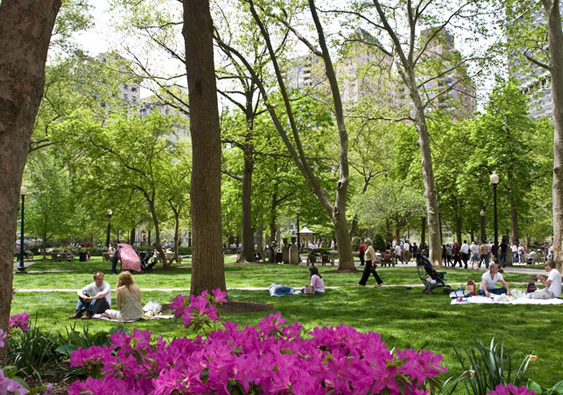 Fitler Square is a highly-desirable residential neighborhood that is west of Rittenhouse Square and east of the Schuylkill River. It is much beloved by families and has a fantastic “walk score,” or measurement of how friendly the area is to walkers and the proximity of amenities that people need, like food and jobs and entertainment. 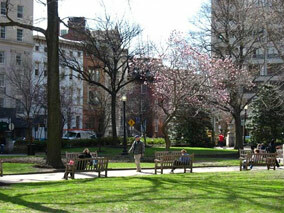 Fitler Square is known for the strength of its public schools, which are among the best in Philadelphia. 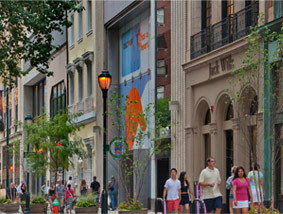 The neighborhood is on an upswing that has slowly been building since the 1960s. Real estate is hot here, and prices are rising. Since buyers tend to settle into their homes for the long run, there is a strong demand for homes in this neighborhood. Fitler Square was named for late 19th century Philadelphia mayor Edwin Henry Fitler right around the turn of the last century. Before the 1950s, Fitler Square had fallen into a deplorable state of urban blight. Crime was rampant and property values were in the proverbial gutter. The Center City Residents' Association stepped in and convinced municipal leadership to address the neighborhood’s disrepair and inhospitality. Fitler Square cleaned up its act, and it’s been on an upward trend ever since, with scarcely a trace left of the neighborhood’s pre-50s vibe. 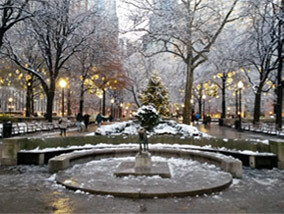 Unlike nearby Rittenhouse Square (the area overlapping the two neighborhoods is known as “RitFit”), Fitler Square is not full of soaringly tall buildings. Most buildings are residences, and few are over four stories tall. Fitler Square has a chill, quiet, and peaceful vibe at all hours of the day. Albert M. Greenfield Elementary School is the local elementary school, and it boasts some of the highest reading and math test scores in the city. 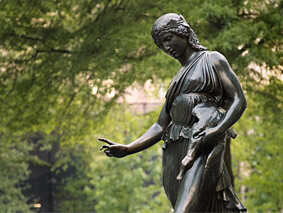 It has been joked that Fitler Square boasts more strollers per capita than any other part of Philadelphia, and this speaks to the area’s strong draws for families. Some other fun facts about Fitler: The Fitler Square Farmer’s Market on Saturday mornings is a big neighborhood draw, attracting residents to the fresh produce and other goodies. Also, an editor on M. Night Shyamalan’s famous film The Sixth Sense was deeply inspired by Fitler Square’s aesthetic when establishing the “look” of the movie.